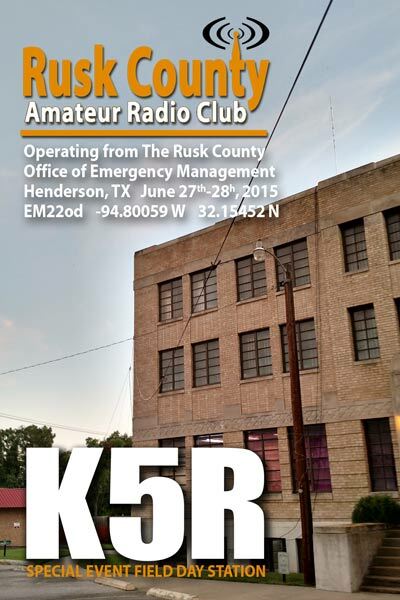 Rusk County Amateur Radio Club: Field Day station places in West Gulf! The Rusk County ARC's Field Day station, K5R, took first place in the 2F category in the West Gulf Division! The club operated at the Rusk County Office of Emergency Management's Emergency Operations Center, qualifying for the 2F designation and made 734 contacts over 24 hours during the contest in June. That was enough to bring the club's total score to 1740 which was nearly 500 points more than the next 2F station. The West Gulf division includes the North Texas, South Texas, West Texas and Oklahoma sections. Overall, K5R placed 28th among all the 2F station across the country. Several club members participated in the event helping the club earn the distinctive honors.